This next part in ‘Training for Triathlon’ I am going to cover the topic of ‘Speed’. Speed is one of the most important elements combining in success. It is common knowledge that without speed racing almost becomes participating. In this article I will try to highlight the importance of speed training throughout all disciplines. Being a short distance athlete I am no stranger to speed sessions. Week in, week out I conduct speed sessions in the pool, open water, on the bike, on the turbo, in the forest, on the treadmill the list goes on and on. The reason why I do this? Simple. Without speed I would be absolutely knowhere in the sport. As a previous blog entry outlined No Adaption = No Progression. This applies to you also. Whether you are a sprint distance competitor or an accomplished Ironman finisher you all still need speed to reach your full potential. Of course before you can really work on becoming faster you need to be a) Fit b) Strong c) Prepared to suffer. If you was to take anyone of those traits away you would be putting unnecessary strain on your body. The risk of injury would be greater and also recovery would be far more susbstantial. Speed is often an element added to an athletes training programme as the new season gets closer. 8 times out of 10 speed sessions become more the norm during a training week when a major race is the focus. This ensures the athlete is at optimal performance levels and able to withstand higher race intensities. However many athletes will perform some sort of speed sessions all year round. This is known as ‘general speed’. The intensity of which is less demanding than ‘high end/specific speed’. It all depends on your performance level how much speed training you conduct. There are many different training methods and philosophies on developing speed. 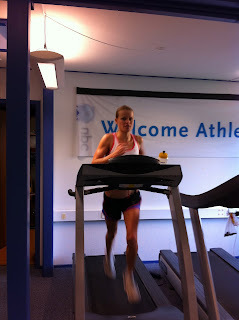 What I will do now is identify to you a process to ensure you are at a level to benefit from structured speed training. It is not a process that will turn you into Javier Gomez or Marino Vanhoenacker if it does then please let me know! Firstly lets start at winters training…it is that time of year when you are either totally done, have just had a long off season break or you are a very eager newcomer looking forward to your first season in triathlon. Is now the time to start speed training? NO!! Get into a rhythm again, find your feet. The winter should all be about getting fit, gaining endurance and becoming stronger than your previous year(s). My advice would be enjoy it as much as you can, gradually progress quantity levels in all three disciplines but not too quick otherwise you will be wishing you took an even bigger vacation. In my eyes a winter’s season runs from November – February. Progress through these months do not become too eager as by the time you reach mid season (July) your done. After a good solid winters base training where you gained fitness and strength then is the time to introduce your speed training. At first the speed training can be generalised with no session focusing on specific races, more with a view to increasing all round general speed. – Brief introductions of speed with a long resting period allowing your body to recover. 10 x 30″ sprints with recovery between 3 – 5 minutes. The long resting period avoids significant lactic build up. Power, Strength and Speed is gained from a session of this kind. 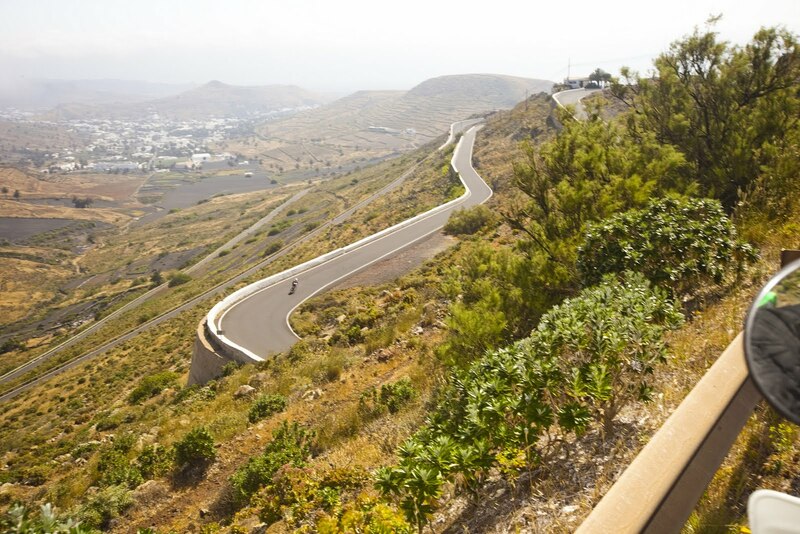 – Hill repeats 4% – 5% gradient. Any steeper and the focus is purely strength rather than a combination of strength/speed. Working on a hill of this gradient is exceptionally good, the longer the better. If it is short then you just have to become really good friends with it 😉 Similar focus to the session above. A sustained tempo for approximately 2 – 3 minutes with a long resting period 5 – 6 minutes during off season. As you get ever closer to race season then think about extending the interval and decreasing the rest. A key point: mainting good leg speed/cadence around 85 – 95 rpm is perfect for speed generation. When the cadence drops lower than 80 rpm the session more focuses on strength. – Treadmill session. Following a 10 – 15 minute warm up period. A base session of 200m tempo followed by 800m recovery is great for a general introduction to speed training. Dependant on ability and race distance you could also conduct 1000m tempo, 1500m recovery and just like cycling as you get closer to race season extend the interval and reduce the recovery. Why treadmill? I hear you ask. A treadmill is great for leg speed, just like a indoor trainer is great for leg speed on the bike. Also running on a treadmill has significantly less impact on the body therefore you reduce your recovery time. Minimum 1 x treadmill run per week is definitely a big recommendation from me. – Strides. Performing a very simple 4 – 6 x 60 – 80m sprints at the end of an easy/steady run is a very good way of enhancing leg speed whilst increasing strength. As your body is slightly fatugued (do not perform an exercise like this after a ‘high fatigue’ session e.g long run, kombi run etc.) it then regenerates stronger after recovery. The date of your season start will determine when to actually introduce general speed training. Should you be an experienced athlete then it is very common that general speed training is a regular during winters training. As a general guide 3 – 4 month out from your first race you should consider introducing lower intensity speed work. Once you have established a consistent rhythm with your ‘general’ speed training it is then a good time to focus specifically on your upcoming goals. Sit down with your coach/adviser and assess your upcoming goals. Once this has been done you can then identify the key speed sessions both, cycling and running, that will ensure you are on that start line feeling sharp. Below is a few example sessions to highlight the difference between ‘general’ speed session and ‘race’ specific speed sessions. – Draft legal; 30 – 40 minutes through and off (chain gang) session initially split as 2 x 15 minute sessions with 10 minute recovery period. Advancing to a continous 30 – 40 minute period. Just as in races you will need to become good at riding in a pack. Pack riding is great for leg speed as you gain the advantage of being in someone elses draft. These sessions should be hard, very hard and high intensity. Your recovery during a session like this is on another riders wheel so be prepared to suffer (trait c) above). Gather a group of cyclists between 6 – 10 approx. push the pace hard and take equal turns on the front. Maintaining a good cadence of around 85 – 90 rpm. Select a course where traffic levels are low to minimise risk. – Non-Draft legal; Time Trials!! Whether they are alone or as part of a mid week series. This is no better way to emulate a race situation. The shorter the better in terms of speed generation but also long are a good way of mentally preparing you for a tough ride. There is no denying that time trialling is brutal. It is not my strongest area which is why I now work a lot with time trial sessions in training. No secret ride hard for the required distance/time period. A good time trial session is to find a route between 20 – 30km long and hammer it once a week leading up to race season. No limits just all out. Race day you will be gauranteed to feel the benefits. Keeping the cadence higher rather than lower is a must. Remember you are a triathlete, you need to run, holding a low cadence will totally overload your legs resulting in a poor run. – Long intervals. 4 x 15 minutes, 2 x 30 minutes, 1 x 45 minutes all around/above race pace. These intervals should be conducted during your long rides leading up to race day. Why? During a cycle ride of an Ironman more often than not you will encounter a ‘down/flat’ period. Mentally this is a tough period to get through. By conducting a hard interval mid way through a 5 hour ride you then have to mentally prepare yourself to get back in the zone and focus. Conduct a final interval towards the end of the ride as this will be the point where you are at your lowest. This final interval will ensure you HAVE to regain focus and will no doubt help towards your mental preparation for an Ironman. If you do not train for a hard ride come race day you get a hard ride. – 6 x 400m at best pace with a 200m active recovery (very easy jog/walk). This is a high intensity session aimed at generating speed that can be transferred into races. You should aim to hold an equal avergae for the entire 6 repitions. A good warm up 2 – 3 km and a solid cool down of 1 – 2 km. Good completion of a session of this kind provides great satisfaction. – 90 minute progressive/build run where you build your pace from below race pace ending above race pace. As a guide you can look to build your pace every 15 minutes allowing for 6 distinctive changes in tempo e.g through 15 minute = 4’30” per km, 30 minute = 4’25”, 45 minute = 4’20”, 60 minute = 4’15”, 75 minute = 4’10”, 90 minute = 4’05” average running pace = 4’17”. This session is great for enhancing your Ironman distance running pace. While providing you an increase towards your speed endurance. I very much hope you have found this article useful and it has enhanced your awareness of training for triathlon. Triathlon is a unique sport therefore requiring unique guidance and advice. Gain as much help and assistance as possible, there is no proven right and wrong method to training. We are all unique and not one person is the same. Remember this when deciding how to train and what sessions to conduct. Always ask yourself are you able to get the best out of this session. If yes then continue, if not then re-assess. Now it is race time again for me, currently in Edmonton, Canada. Sunday will see me race the ITU World Cup. You can follow live updates via my twitter & Facebook pages.